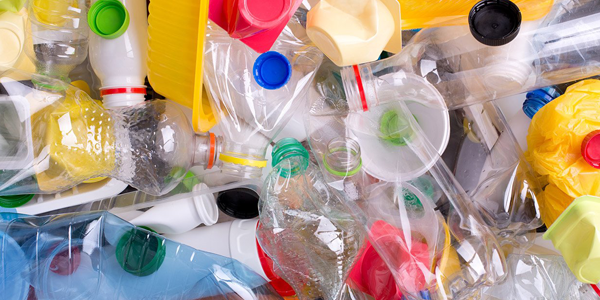 As awareness grows of the effects of plastic on the environment, many people are looking at ways to reduce plastic in their home. It’s something you have to think about as plastic bottles, bags and flatware have become part of everyday life. Jason Theakston, recycling coordinator for Washington County, said there are people who are serious about reducing trash in general. “Some people are dedicated to reducing their ecological footprint,” Theakston observed. Others, however, are finding their way. Theakston said stores that require customers to purchase bags when they check out instead of distributing them for free make more people aware. Many purchase reusable bags for shopping. Reusable insulated bags for cold food items and produce bags for fruits and vegetables can also be purchased. If you do bring home plastic bags, you can take them to stores that do collect plastic bags for recycling. Plastic straws: When home, drink from a glass and don’t worry about a straw. If you need a straw, try a metal one that’s reusable. Plastic bottles: If you keep bottled water on hand to carry as you head out the door, try using a stainless steel bottle instead. A good alternative, these bottles can be refilled from a sink, fountain or bottle-filling stations that are becoming popular. These reusable bottles also keep beverages cool. To-go coffee cups: You can purchase a thermos or reusable cup to take hot coffee with you that keeps it warm longer than a disposable one. Flatware: Instead of buying plastic, pack regular flatware from home with your lunch or dinner. Teresa Bradley, of Pennsylvania Resources Council that has an office in Pittsburgh said their Zero Waste Pennsylvania program offers a Zero Waste Kit option and composting services for small backyard gatherings and parties. More information is available at www.prc.org. Containers: Instead of plastic, switch to glass when storing leftovers in your refrigerator or mixing up a pitcher of iced tea to serve with a meal. Bradley advised bringing your own containers to a restaurant to take home leftovers. Plastic trash bags: Use fewer plastic trash bags by reducing leftovers that you might throw away. If you have fewer people for dinner on a particular night, cook less food or you can freeze some of the food to use for a quick meal at a later date. You can also eat more leftovers by packing them in your lunch instead of buying takeout. You also use fewer trash bags when you reduce the amount of disposable products that you buy. Use a regular razor instead of a disposable one. Choose a cloth shower curtain instead of plastic. Use brushes and cloths that can be washed and reused when cleaning. Use bar soap instead of liquid in a plastic bottle. Buy products, such as pasta, in boxes instead of plastic bags. Purchase food in bulk and then scoop out what you need instead of purchasing individual servings in separate containers. Reducing plastic is not only good for the environment but can save you money. It may take a little planning, but there are many opportunities to reduce your use of plastic.